There are many versions of the Caravan: 208A, 208B, 208B EX, Black Hawk upgrade and Texas Turbines upgrade. The 208A Caravan climbs fair, the 208B Grand Caravan climbs good and the Black Hawk (850hp) and Texas Turbines (850hp) conversions climb great! The version that you will see at most drop zones around the world is the 208B Grand Caravan, and is why I will mostly refer to this model. As part of your takeoff check, add 20 degrees of flaps for take off. Advance the throttle slow and steady. As with most airplanes, it will let you know when its ready to rotate, but it’s usually around 70 KIAS because we’re usually heavy. Obviously, when we’re lighter, it will want to get off the ground sooner or at a lower airspeed. Climb out initially at around 90 KIAS and then lower the nose to 100 KIAS, which is slightly less than Vy (104 KIAS). That speed seems to work the best for the C208B. As with any jump plane you fly, initially you should experiment with different airspeeds while timing yourself. Your torque should be Max. until ITT or Ng limit. Retract flaps 10 degrees at a time starting at 1000 ft AGL. Check in with ATC. *This narrative was written by a knowledgeable pilot with many years of jump pilot experience and many, many hours in type. It is not intended to teach you how to fly this aircraft in initial checkout, but rather to give you direction for how to fly this aircraft with skydivers. Meet Lewis, a pilot that I met in our Caravan Pilot group on Facebook. He is a British Caravan pilot flying skydivers in Germany for Army Parachute Association. A company that has a contract in Germany to fly British servicemen for Sport Parachuting at Rhine Army Parachute Association. From flying a DA42 in your Instrument Rating onto a commercial operating aircraft with people trusting their lives in you, the Caravan beats all other aircraft in helping you take that step. The caravan is an amazing aircraft to fly, with forgive ability to a low hour pilot. The caravan allows me to take all my theory and student studies into actual practical experience for example IFR approaches and airway work. Understanding how the CoG affects each aspect of flight, especially when your passengers are on the camera step! Knowing that once you start flying a turbine aircraft, its awareness for temperature, temperature, temperature! The caravan has very comfortable seats, with arm rests to allow long days as a jump pilot. There is no better single engine turbine aircraft available and no aircraft which is more enjoyable. My career goals are that whenever I am flying an aircraft, it should be hand flown. In the future, I wish to go onto multi turbine aircraft where I can hand fly; whether this be parachuting, ferrying or bush flying. I would also like to advance onto business jets or the airline route. Never give up sending CVs, never give up networking, never give up visiting airfields and never give up trying! 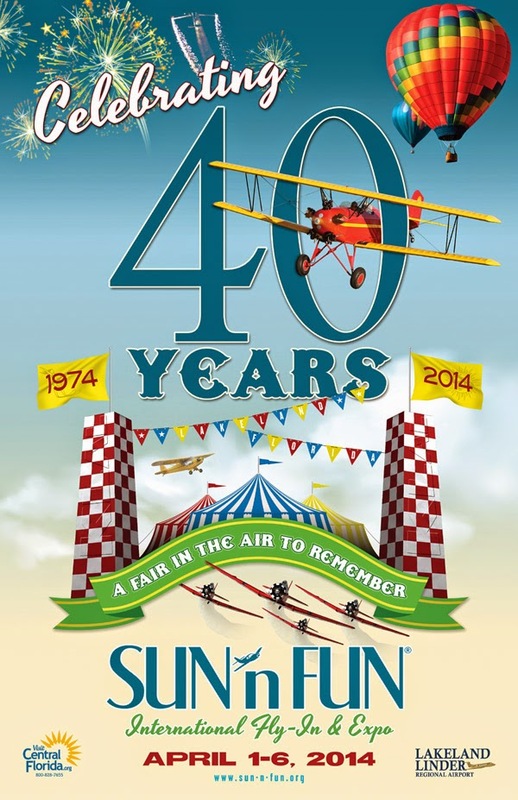 Always try and revise some form of aviation, whether it’s POF or OPS at least once a week. If you ever get a chance to fly, even if its safety pilot on a ferry flight, grab it! Employer’s always like to see that young pilots are involved in this hard industry. If you are a young student, give a company an email to say where you are. After a few emails they will remember your name and how you are progressing in your pilot career. 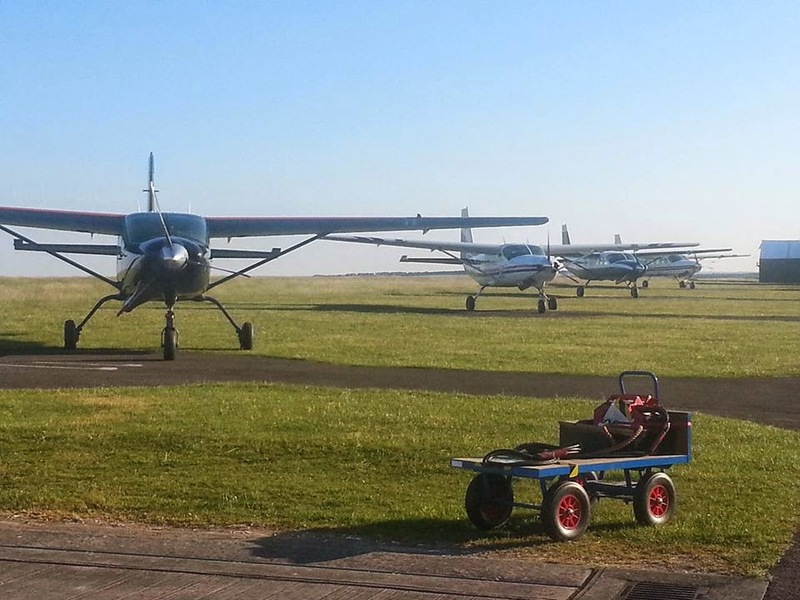 If you have just got your commercial licence then look at building your hours at companies like parachuting, ferrying, instructing and gliding towing. I was very lucky, where I emailed the Chief Pilot of the company the day he needed a pilot. 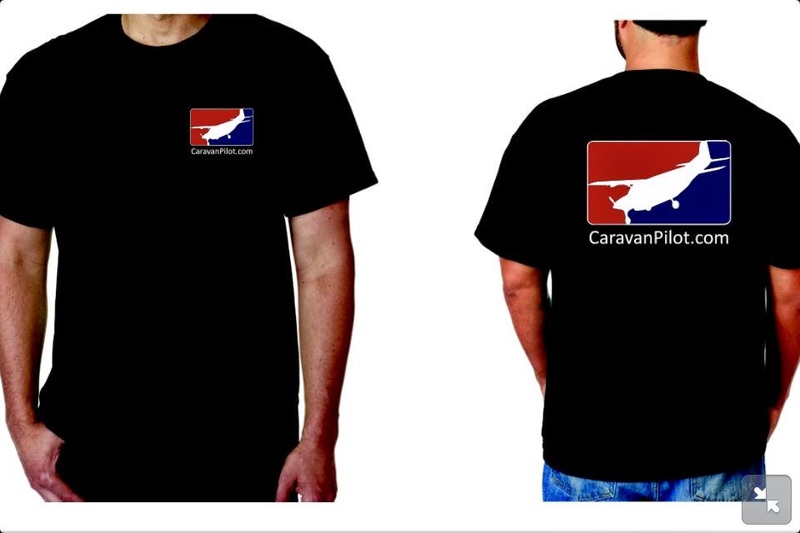 New T-Shirts available from CaravanPilot.com! We have new t-shirts available from our site, CaravanPilot.com! The logo is on the back and on the front upper left chest. These shirts are 100% cotton and come in all sizes. To order your t-shirt, send $20 via PayPal to chris@caravanpilot.com Please include your size and the quantity of shirts that you want when submitting payment. Thank you for all of your continued support! This is the first in a series titled "Featured Caravan Pilot". It will start out here on the Caravan Pilots blog and will eventually move over to my site CaravanPilot.com after it has been relaunched. Meet Kathleen, our very first Featured Caravan Pilot! She is the only female and the youngest out of 40 pilots that her company employs. The list of what I like most about the Caravan is lengthy as I've spent the majority of my professional life flying it. As a young pilot who began flying the 208 with relatively low time, I couldn't have chose a more forgiving aircraft to learn on. The Cessna Caravan is incredibly capable and unbelievably versatile. For me, learning IFR, SOPs & turbine theory was a steep learning curve. The C208 has been an excellent starter aircraft for many reasons! In learning all of these areas, the 208 was fast enough to challenge my abilities yet slow enough to teach me the basic skillset that I'll carry with me throughout my career. I learned everything from hand-flying an NDB approach to power and system management in challenging (and sometimes slightly scary) icing conditions. Along with the learning curve, I can honestly say that I doubt I'll ever have as much fun flying another airplane as I have with the Van. It handles well, it responds to pilot inputs very well, and has wildly impressive performance numbers (when it comes to takeoff and landing distances). I'm proud to call the Scare-a-Van "My First Turbine". Throughout my career, I hope to spend some time in various capacities of the industry, including MEDIVAC operations, Corporate (Jet) flying, and eventually either large passenger airlines or large cargo operations. Advice I could give to younger pilots is limited, in that I'm fairly young myself (or so I've been told). What I'd pass along to future hopefuls, is to seize (and make) every opportunity possible. Talk to pilots you meet, explore different aircraft, network as best you can, and NEVER burn bridges; the industry is FAR too small to make enemies. Keep your nose to the grind, and see every flight as a learning experience. Pilots log hours, aviators log lessons. 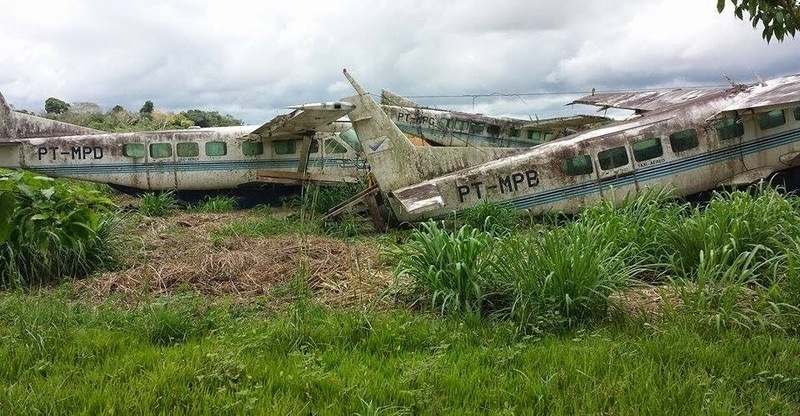 I was upset to see these ex- Penta Airlines Grand Caravans: PT-MPB, PT-MPD and PT-MPG piled up in a field in Santarem Brazil, seen in the photo below. They should be in a hangar or at least properly tied down on a ramp. It obviously was not a pilot that ordered them to be tossed into the weeds like that. According to my friend Gustavo Bonato these "Caravans are waiting for a court decision before being sold. That decision has been delayed for at least 7 years and there's no perspective of it happening soon." Penta Airlines was a Brazilian airline that operated from 1995-2005. They offered domestic flights all over Brazil and to neighboring French Guiana. 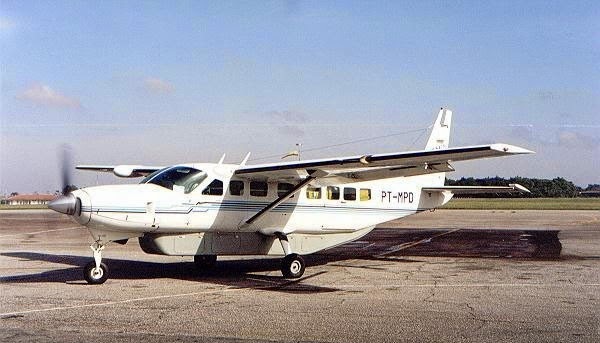 It started out as an air taxi company named Pena Taxi Aereo and is where it derived its name Penta from. At its peak in 1998, it was servicing 34 cities and flew 235,000 passengers in: 7 Cessna Grand Caravans, 3 Embraer Brasilias, 2 Embraer Bandeirantes and 2 Bombardier Dash 8s. The airline went out of business because of two main reasons. A currency exchange devaluation crisis that occurred in 1999 and then a year later the Brazilian Civil Aviation Agency temporarily suspended their operational license because of supposed maintenance issues. 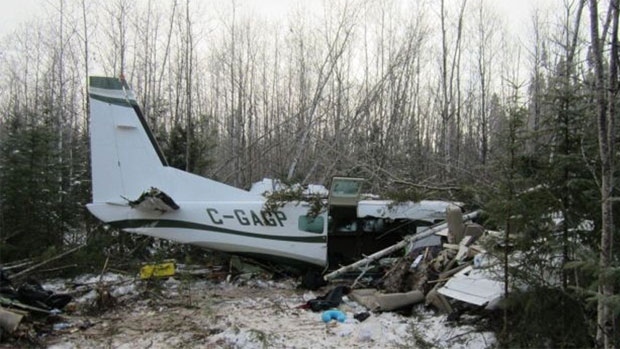 On 18 November 2012 the Caravan pictured above crashed after loss of control due to an accumulation of Rime Ice on its wing surfaces. 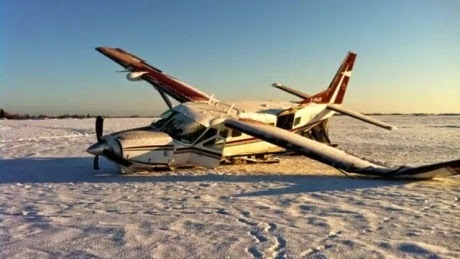 Accidents like this should serve as a reminder to us pilots that we need to be extra vigilant while operating in icing conditions. 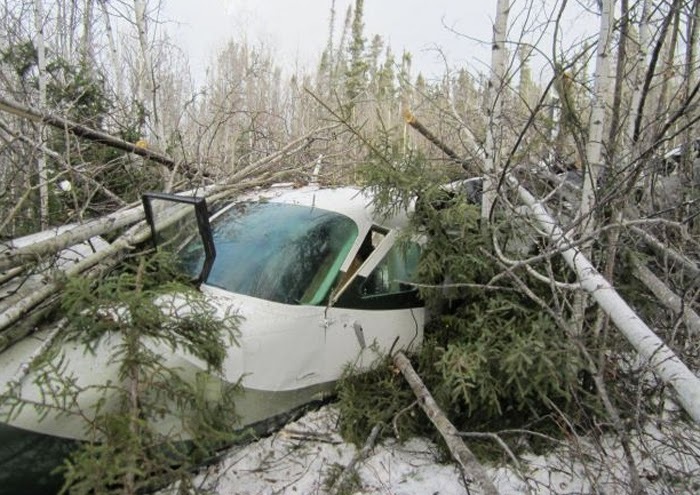 The Grand Caravan, operated by Gogal Air Services, was headed to Winnipeg when it crashed into a wooded area soon after take off. The crash killed the pilot and seriously injured the seven passengers on board. The 600lbs of excess weight and airframe ice increased the aircraft's stall speed and reduced its take off and climb performance. "Although the pilot made an attempt to remove the ice before [the final] flight, a significant amount of it remained on the aircraft. No de-icing or anti-icing fluids were applied to the wing or horizontal stabilizer and no tactile inspection of the upper wing or tail surfaces was observed. The ice on the leading edges of aircraft's wings and tail would have reduced available lift, added extra weight, increased aerodynamic drag and thereby reduced its take-off and climb performance, increased its stall speed and impaired the protection afforded by its stall warning system, which is activated at a pre-set angle of attack based on a clean wing." After reading this, I encourage my readers to review the AFM or POH for the specific aircraft that they fly (difference between AFM and POH), specifically the sections pertaining to Icing and the Emergency Procedures - Icing. As far as the Caravan, you can also find this information in the Pilots' Abbreviated Checklist. But remember that the AFM or POH takes precedence over the PAC. If you are a Caravan pilot, I also highly recommend that you complete some of Cessna's E-Learning courses on this topic. Courses such as "Caravan Cold Weather Ops" and "Caravan Vodcast Ground Icing Conditions". There are many other interesting courses available, most of which are free and are all available at cessnaelearning.com. My fellow pilots, please remember to Review Often and Fly Safe so that you can continue to Have Fun! Last month Mokulele Airlines began its expansion plans for 2014 by offering nonstop flights between Kahului, Maui and Honolulu, O'ahu. 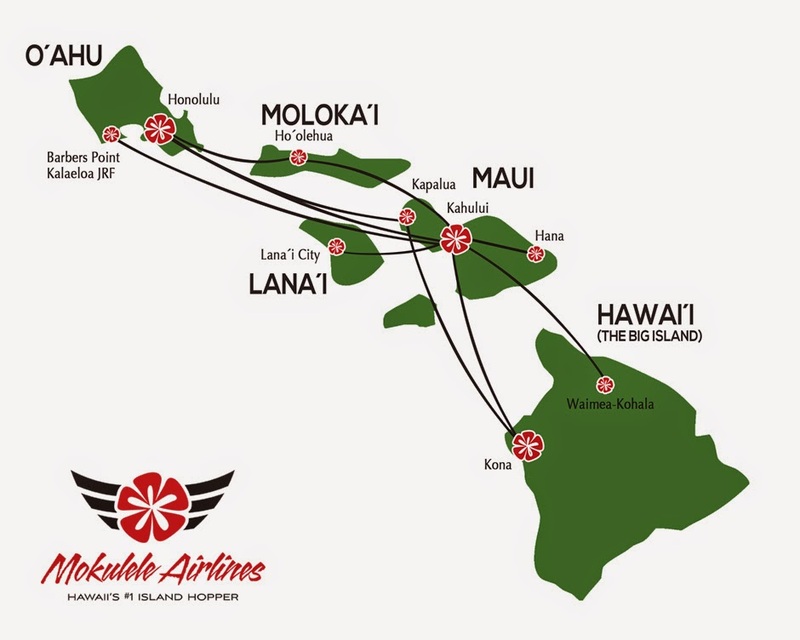 Mokulele will also start offering service between Kalaeloa Airport/ John Rodgers Field (formerly Naval Air Station Barbers Point) and Kahului, Maui starting July 1st. According to Mokulele, "Kalaeloa, will provide hassle free commuting between O'ahu and the rest of the Hawaiian Islands. This includes: avoiding heavy traffic on the H1, no TSA screening and free parking with a valid permit. Kalaeloa will also provide an easier access to the Aulani Disney Resort & Spa on the southwestern coast of O'ahu." The airline is also reminding its customers that they are not part of Go! Airlines, a company that stopped operating on April 1st. 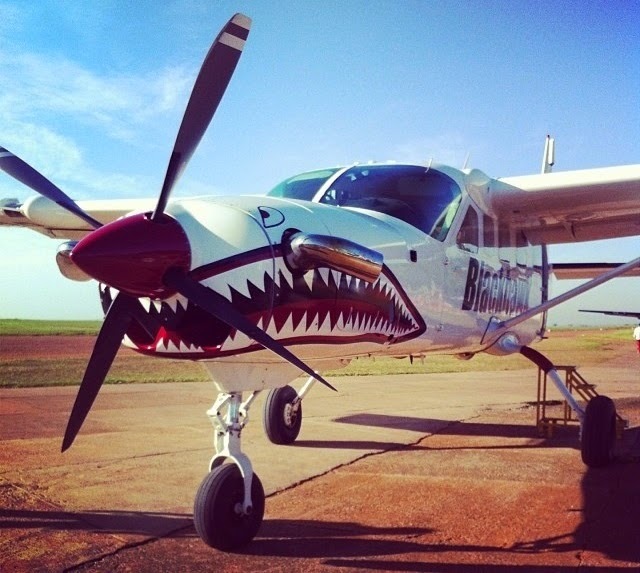 TransPac Aviation, Mokulele's parent company purchased the turbo prop division of Mesa Air Group, the operator of Go! Airlines. Mokulele has added 3 new Grand Caravans to its fleet to accommodate the new routes. 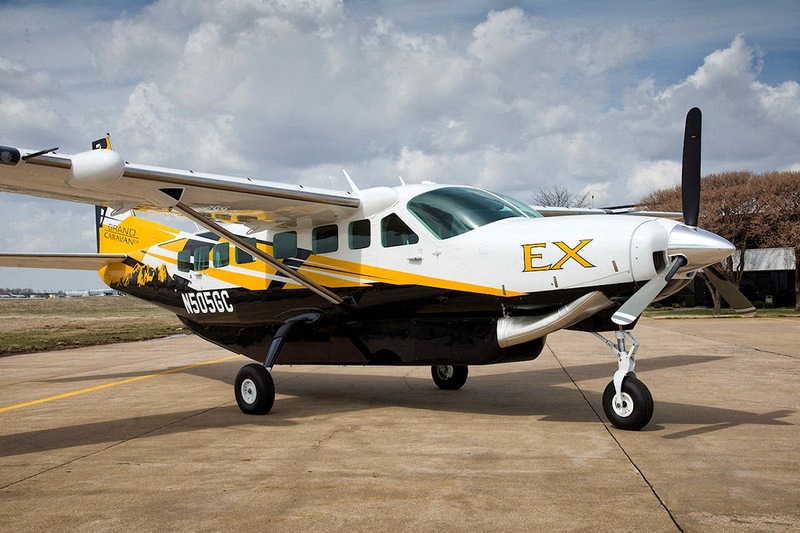 Cessna Aircraft sells its 100th Grand Caravan EX! 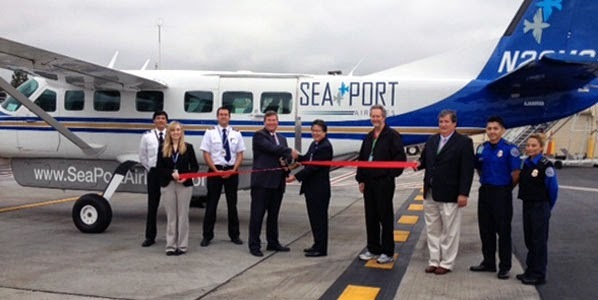 Cessna Aircraft Company recently announced that it has sold its 100th Grand Caravan EX. The latest model received FAA certification in January 2013 and is powered by a Pratt & Whitney PT6A-140 which gives it a 38% better rate of climb, a 350 foot shorter take off roll and a 12 knot faster cruise speed. The owner of the 100th Caravan EX is Hussain Ali Rashid Almoalla who plans on personally flying it all the way back to Abu Dhabi, a 9000nm trip. Mr. Almoalla stated, "I am delighted to add the Cessna Grand Caravan EX to our fleet. 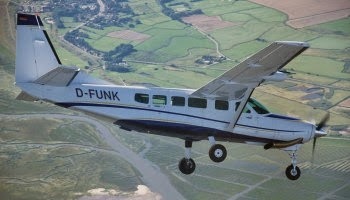 The Cessna Grand Caravan EX is reliable, efficient and ideal for my needs. My expectations of this aircraft have far been exceeded. I am very impressed with the power it displayed on the first flight, as well as its ease of maintenance, impressive Garmin G1000 avionics and spacious interior. It is abundantly clear I have made the right decision." I am sure that it will not take Cessna very long to sell its next 100 Grand Caravan EX's. It's an amazing aircraft that has virtually no competition. What happened to the Caravan pictured below? Turbine Blade Creep - the movement of a turbine blade from its normal alignment, causing it to strike the casing. Caused by stress from high temperatures and high centrifugal forces. When Blades Creep! It sounds like the title of some horror movie, doesn't it? Well, if you don't know what it is... it just might become the title of your very own horrific day. Read on and study more. On June 1st, 2008 Grand Caravan N102VE operated by Skydive Greensburg in Indiana experienced a total loss of engine power. On its second load of the day, it was climbing through 7,000 feet MSL with 14 skydivers on board when there was a CT (compressor turbine) failure caused by blade creep. The pilot reported hearing a loud explosion followed by a metal grinding noise coming from the engine. The aircraft began to vibrate and then smoke filled the cabin when the pilot began emergency shutdown procedures. 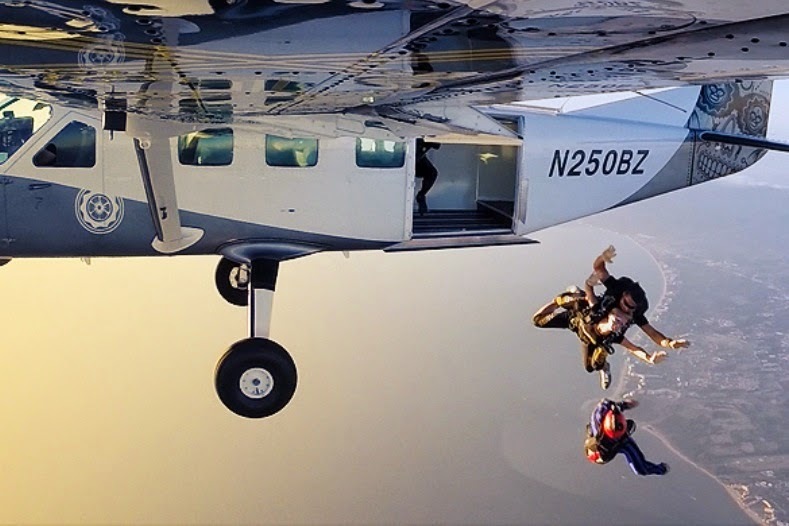 He leveled off at 5,000 feet so that the skydivers could exit, which they all did. He attempted a forced landing at the airport, however he was too high and fast (a common problem during such situations) and landed in an adjacent cornfield upside down, after the left wing and propeller struck the ground first. Luckily the pilot and all skydivers survived. The engine manufacturer, Pratt & Whitney Canada had issued Service Information Letters (SILs) recommending borescope inspections of the CT blades to look for blade creep and fatigue cracks. However, the owner of this aircraft said that he was unaware of the SILs and did not perform the inspections. We as pilots can all learn from this accident. Do not ever assume that the owner of the airplane that you're flying is in compliance with all of the required Airworthiness Directives AND recommended Service Information Letters. I know a lot of you had never even heard of a SIL. Stay sharp.... fly safe! Shark spotted at Skydive the Beach! Skydive the Beach in Wollongong Australia and their Caravan with the cool paint job takes skydivers to the highest altitudes in all of Australia. In case you're wondering that's 15,000 feet high! 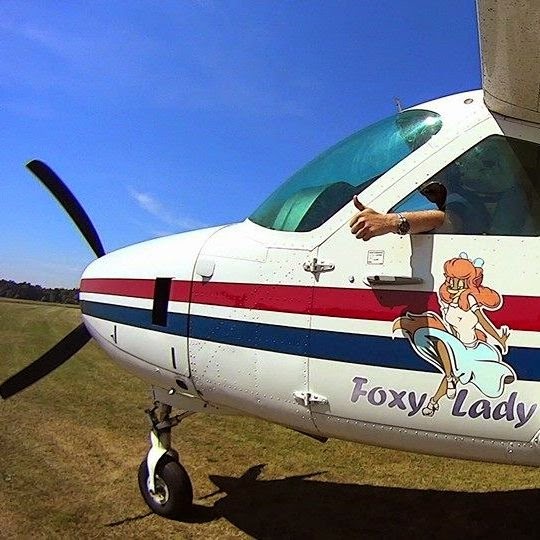 This company that started out with just two guys and a Cessna 206, now has 10 drop zones all over Australia with more openings planned! If you're ever out near their drop zones (especially if you've never gone skydiving) do yourself a favor and be sure to get in the airplane, enjoy the ride up and then.... SHUT UP AND JUMP! I don't know about you, but this is the very first airplane that I have ever seen that has been vandalized with spray paint. This incident happened at Tyagarah airport in Byron Bay NSW Australia to a C208 Caravan operated by Skydive Byron Bay. Apparently some airport neighbors that don't like the supposed "noise" armed their 9 year old kid with some spray paint and a knife. I say a knife because the fuel tanks were found to have been punctured as well. I'm hoping that the local police find the kids and their parents that are responsible for this disgusting act and throw them straight in jail and order them to pay back what it cost to fix it. Which will be well into the tens of thousands of dollars, which for an uneducated low life family could take a decade or more to pay back. I am also hoping that the Caravan owner has since installed cameras and a lot of lighting on and around the ramp and tie down area. Ideally the owner would like the airplane hangared, but that would be a much greater expense. That flight was boring and exciting at the same time. It can get very boring flying by yourself for many hours. However it was also exciting knowing that I was flying a beautiful $2 million dollar aircraft by myself halfway across the country into unfamiliar airspace at night time with cloud activity in the forecast. Happily I can tell you that the flight ended successfully and uneventfully. After tucking her away in the hangar for the night, I checked into the local Hilton and ordered room service paid for by the client.... pilot perks!